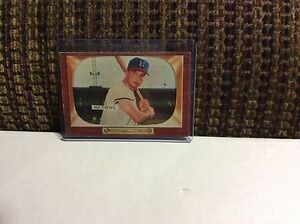 1955 BOWMAN # 103 EDDIE MATHEWS !! 1955 Bowman #317 Bill Summers PSA 6. Newly Graded! Only one on eBay!! FIRE SALE!